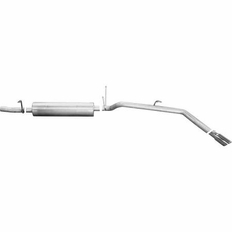 1999-2002 Nissan Xterra Gibson Performance Cat-Back Exhaust (Aluminized)5LisaDecember 20, 2012Great price, fast shipping, easy installation. The part number for this item is 12203 and it fits 1999-2002 Nissan Xterra models. This exhaust features a 2.25" Diameter and a 3" Tip, exiting on the side of the vehicle behind the rear tire.. This is a Cat-Back exhaust, meaning all piping behind the cat is replaced.